"With packaging in the back of my mind I created Crema only in one specific weight. But there are 3 styles from the connected Forte to the quiet Piano. I am looking forward to see Crema as well." Cosmopolitan is a monoline font family with script and sans versions that both work great together or alone. It comes with five weights and “printed” versions. 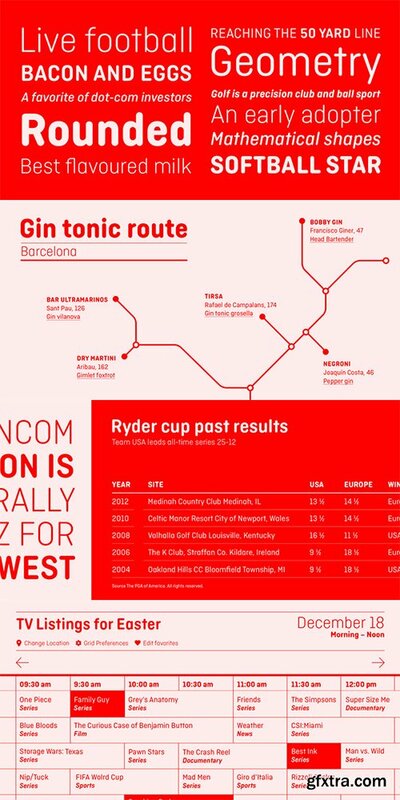 For extra swashes, swirls and pictograms there is Cosmopolitan Extras. Cosmopolitan Script is packed with OpenType alternates: turn on Swash, Stylistic or Titling Alternates in any OpenType savvy program or find even more alternates from the Glyph Palette. Cosmopolitan Sans has different Swash Alternates for both upper and lowercase characters. Cosmopolitan Family gives an elegant look for any project from print to digital. ?For the very best price purchase the whole family! 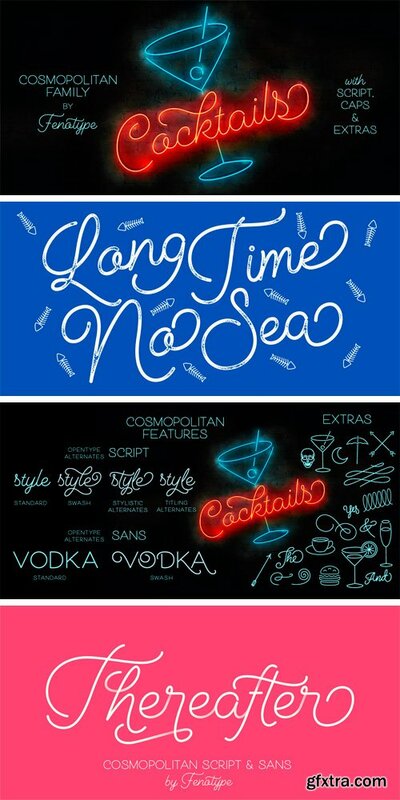 Cosmopolitan Family is inspired by two other great monoline font families: Selfie and Beloved. 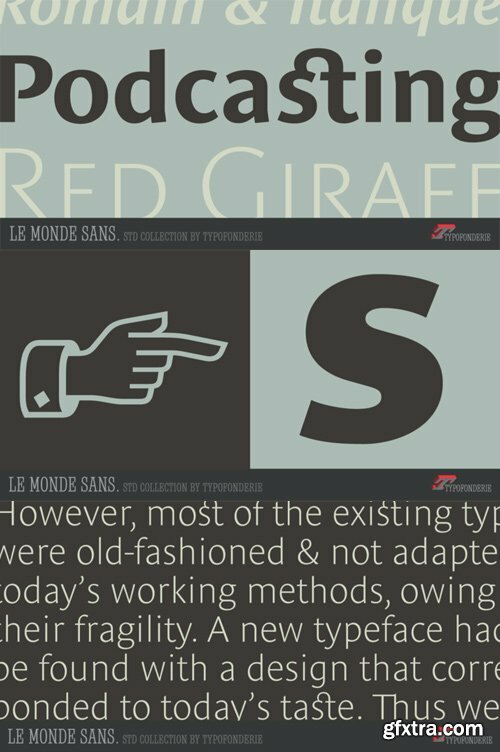 Le Monde Sans was revamped for the relaunch of Typofonderie website. Le Monde Sans is offered in numerous weights -- nine in total, in roman, italic to meet all kinds of situations. Several intermediate weights added such as the Book and ExtraDemi have been added. It will help designers to select the best weights depending their needs, from glossy paper printing to high resolution screen as the recent iPad and its retina screen.The design of Le Monde Sans continues the basic common structure found in the members of the Le Monde family: its proportions, a relatively narrow width, a fairly oblique axis, etc. The typographer can, at all times, switch between Sans & Journal or Courrier without any disruption in the composition. The design of InterFace is influenced by the sans serif fonts of the late 19th Century. While many of the features are Grotesque, a softer look is achieved by blending in some humanist features, such as how the curved strokes meet the straight stems. The fractionally raised x-height allows for a slightly narrower design to increase the letter count where space is at a premium. InterFace’s highly individual design features on some characters support a unique look, which helps a brand or identity stand out from the crowd. This Font is the official typeface of the UK’s famous Southeastern Rail service. 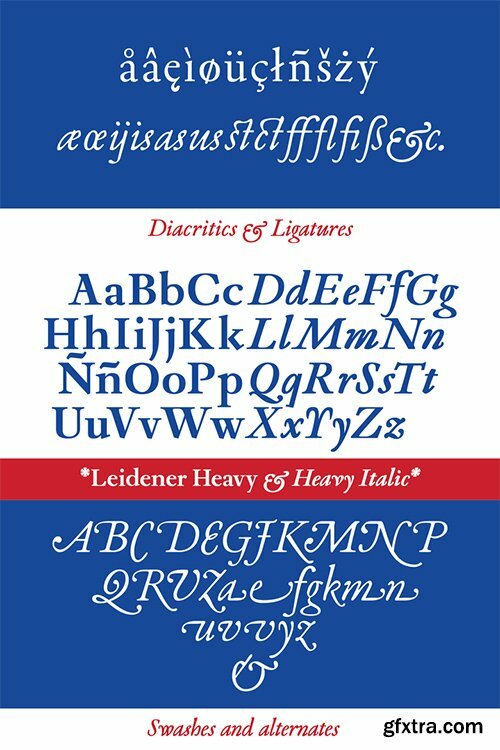 It is used in all of their marketing, signs & logo.The Standard Edition includes a complete Latin A Extended character set. Please see the Corporate Edition of the font for an extended character set with Greek and Cyrillic scripts. YWFT Nim - Bevel, Outline, 3D & Shadow Effects 5xOTF $50 NEW! YWFT Nim - Bevel, Outline, 3D & Shadow Effects $50 NEW! YWFT Nim is all about layering. Bevel effects, outline effects, 3d effects, shadow effects--all are possible and uniquely powerful with YWFT Nim, making for a near-infinite amount of variety and style. Modern and clean, with a nod to architectural forms and figures, YWFT Nim is ideal for striking headlines and posters, and declarative of a strong, individual functionality. Bundle vol.3 – 21 Custom Fonts! 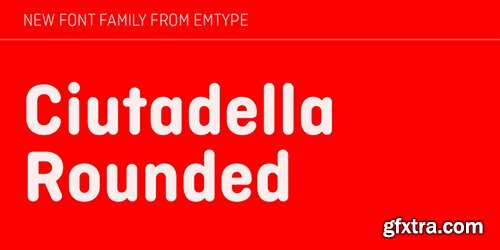 Ciutadella Rounded is not only a font with soft corners, it has a real rounded terminal across all the weights. It was a challenge to achieve a rounded effect in close counters characters, especially in the heaviest weights where there is less space available to accommodate the round ending. Suitable to be used across a wide range of applications, from identity systems to publications. It is available in Open Type format and includes Alternate Characters (‘a’, ‘t’ and ‘&’), Ligatures, Tabular Figures, Fractions, Numerators, Denominators, Superiors and Inferiors. It supports Central and Eastern European languages. 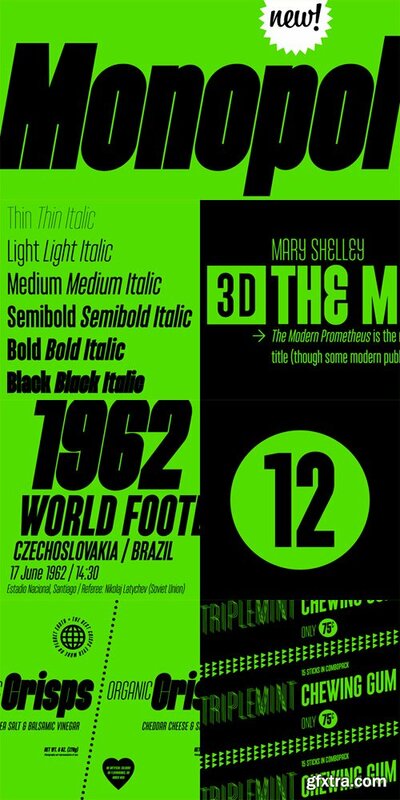 The type family consists of 10 styles, 5 weights (Light, Regular, Medium, SemiBold and Bold) plus italics. Solido is a very versatile and usable type system with five widths: Solido, Solido Constricted, Solido Condensed, Solido Compressed and Solido Compact, in a total of 35 fonts with many of alternate characters. BB Roller Mono™ Pro visualizes the work of painters: Craftsmanship, precision, professionalism and their tools. The special features of the Font emphasize the work process. This font family is inspired by printed work made by the Elzevir family back in the XVIIth century at Leiden (NL). They worked with material from several type designers, but further investigations sends us to the tracks of one in particular: Robert Granjon. Granjon italics were way ahead of his time, making some really beautiful signs like swashy ampersands and minuscule v letters. 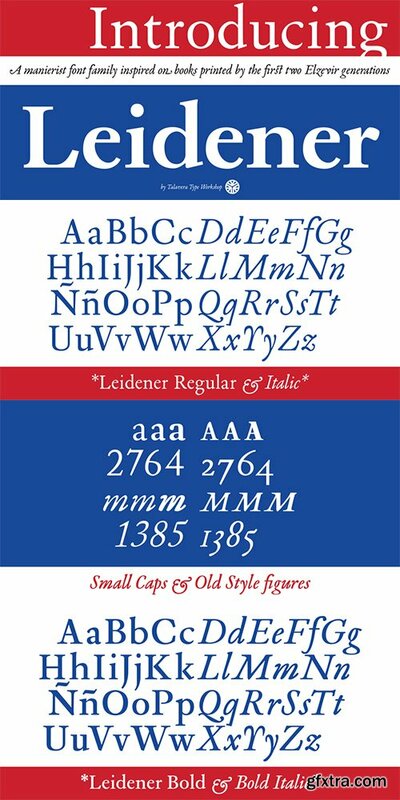 This font also contains old style figures in the same fashion as they were printed, like the flipped number 8 and open forms in 6 and 9. This is as much a revival as an original design, because of their weights bold and heavy (both with italics) that were inspired on some titles. In this font you can also find a lot of ligatures, small caps, diacritics and even a fleuron for each weight and variation.Leidener came up from two books: Constantini Imperiatoris (1611) and Exercitationum Mathematicarum (1657), printed by Louis and John Elzevir on their Leiden Workshop, back in the day. Corporate Fonts - Great Bundle! About 1000 Corporate Fonts | + Vector Logos | PDF Instructions | RAR 3 GB | In Alphatical Order! Ornamented scripts are a Koziupa/Paul specialty, and Heraldica is one of their most expressive. It attains the very definition of deluxe by conjoining the classic thin-and-thick script treatment with thin-only counterpart strokes, then it goes the extra mile with a varied complement of overlaid flourishes. The usual assortment of multiple alternates and ending forms pushes it even further in class and versatility. Monograms, logos, jewelry packaging and book covers are only a few of the possibilities with such a high-end script. MonteCarlo is a beautiful formal script— both contemporary and traditional. This connecting script’s italic is slight, making it an extremely legible design. Its additional flourishing options offer truly diverse possibilities for customization of display. MonteCarlo is perfect for those situations that require an ornate look, and a readable message, without compromising beautiful design. Bellissima Script Pro - 2 Fonts for $128! in the back of my mind that I should do a copperplate, and the Stirling model was the perfect source. My intention was to veer away from Stirling’s exuberant ornamentation, and work within simplified forms of his ideas. As it usually is with most of my projects, Bellissima became its own bird and shaped its own flying patterns. Suddenly there were many ligatures, multiple endings and swashed connections, hundreds of alternates for both uppercase and lowercase. Bellissima has an effusive energy that appeals much beyond its sourcing. It’s intended for these modern times of appreciation for old crafty things like stationery and letterpress, where its origins help it shine brightly. Bellissima Script Pro is a complete font with almost 2000 characters full of alternates, swashes, ligatures & ornaments covering a wide palette of latin languages. Benton Modern Text was first prepared by Font Bureau for the Boston Globe and the Detroit Free Press. Design and proportions were taken from Morris Fuller Benton’s turn-of-the-century Century Expanded, drawn for ATF, faithfully reviving this epoch-making magazine and news text roman. The italic was based on Century Schoolbook. These new display cuttings were prepared by Dyana Weissman and Richard Lipton. Among other uses, Benton Modern is recommended for Newspaper, Magazine, Book and Corporate use. The type family consists of six well-distinguished weights, from hair-thin all the way to the one black as the deepest night. In line with the current trend, it touches all boundaries, it stretches beyond technical possibilities and in extremes, it is almost illegible – the counters are reduced to a hairline. 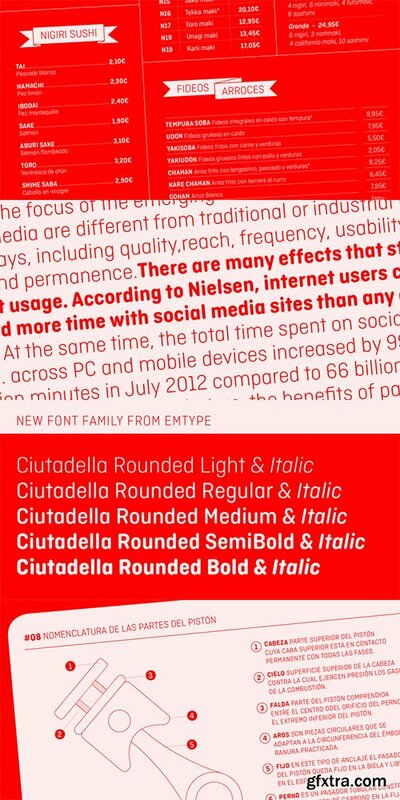 All italics have the same proportions as their corresponding regular styles, which emphasises the block-like appearance of the set text. Monopol was designed to thrive on posters, exhibit stands, book covers, magazines, and in complex visual styles. 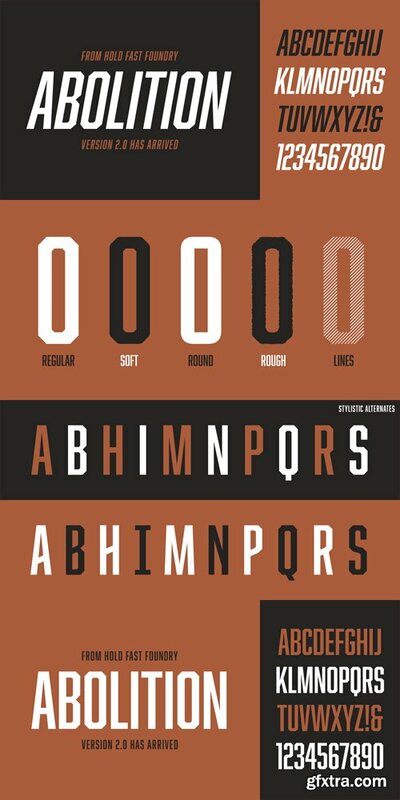 Its twelve styles make it an ideal tool for creating a dynamic composition using solely typographic means. Abolition is a condensed sans-serif display typeface that’s got a knack for propaganda posters and industrial buildings. 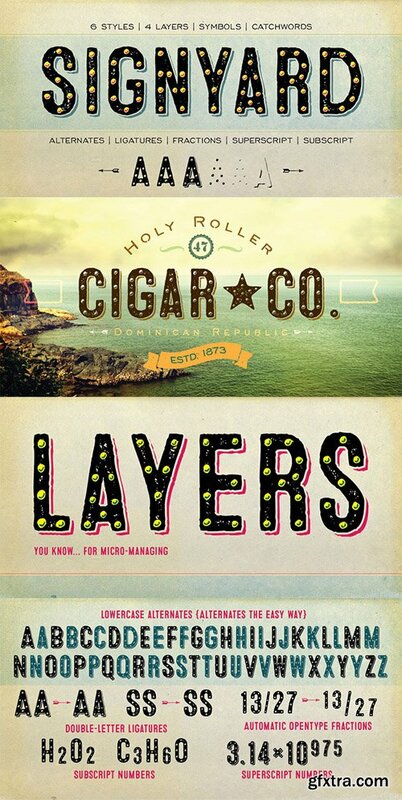 It’s a highly modified sans-serif version of Bourbon with some new surprises. 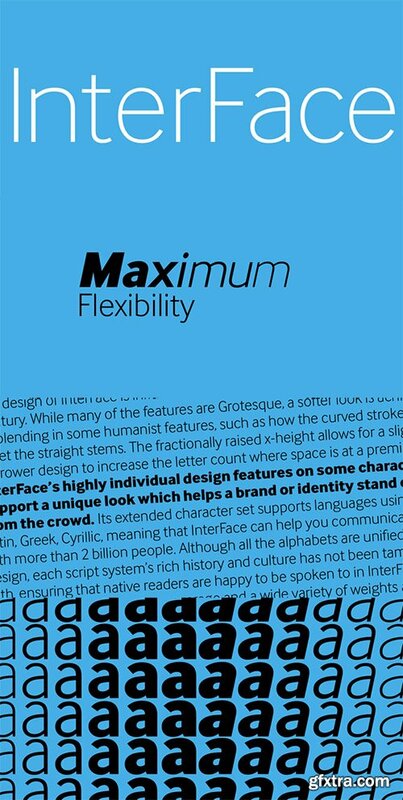 Features include: Stylistic Alternates and Multiple Language Support.